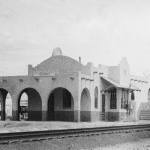 The Gilbert Historical Society was incorporated in 1979 and the museum opened to the public in 1982. Over the past 35 years, we have had thousands of visitors to the museum. Our beautiful building, which is on the National Register of Historic Places, and the artifacts it houses are a true treasure for Gilbert. We also realize that as times change, so must we to stay relevant to those in our community and to be self-sustaining. Two years ago, we adopted a Communities for all Ages intergenerational programming model and began moving towards becoming a full-fledged arts and culture center. Over the past 11 months, we have hosted 59 new program events and welcomed over 1,000 new visitors to the museum. We’ve had history cafes, science cafes, art workshops, gardening classes, storytelling, blue grass jam sessions and so much more. We have partnered with Art Intersection to open Gallery 4, which will house rotating art exhibits. Opening in December will be a photographic exhibition on the Dirty Dozen, Arizona’s first motorcycle gang. We are also now home to the Gilbert Visual Arts League, and they hold two shows each year—in November and March. We just finished renovations on three of our exhibits in the museum—the Town Room highlights the businesses and history of public safety; the Farming Room showcases the agricultural history of Gilbert; and the School/Community Room shows the public and charter schools in Gilbert as well as highlights the growth of the Town and the community organizations who helped make that possible. 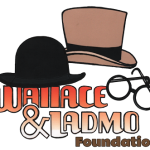 As we added arts and culture exhibits and intergenerational programming to our repertoire, we realized that it was also time to update our brand. 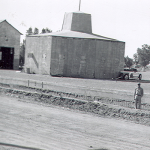 We will always be the home of the Gilbert Historical Museum and will always be stewards of our Town’s history. But we have realized that in order to be sustainable, we have to do more. So that is why the society has expanded our mission to include not just history, but arts and culture. There is a real need for more of the arts in our community. 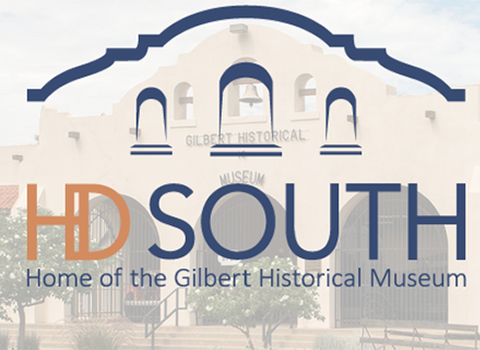 Because of our program expansion, the Gilbert Historical Museum name just didn’t fit anymore. We have had quite a journey in choosing a new name and brand for a place so special to Gilbert and the East Valley. 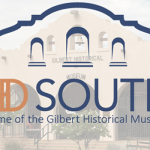 We envision our location truly becoming the cornerstone of the south end of Gilbert’s Heritage District – so, to highlight that, we have chosen HD SOUTH as our new name and brand. Our staff, board of directors, volunteers and supporters are all very excited about this announcement. Our new website launched last week – www.hdsouth.org. I encourage you to please visit our new site and stop by HD SOUTH. See our new, exciting programs and exhibits in person. We have a full schedule of events in November and December, including our Re-Grand Opening Event on December 2nd which will include a “Breakfast with Santa” event catered by Snooze. I hope to continue to see many new faces at HD SOUTH and to serve our community with history, arts and culture.